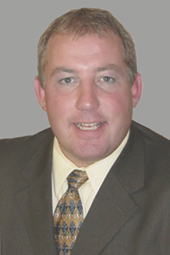 Todd graduated in 1987 from SUNY Oswego with a BA in Economics. In 1997 he began his career with Lincoln Financial Advisors and he joined Best Times Financial Planning in the fall of 2014. He specializes in working with high net worth individuals, business owners and retirees. Todd’s in-depth knowledge in the areas of estate planning, business succession, and retirement planning has helped guide his clients over the past 18 years. He also advises his clients in the area of investment advice and planning using fee-based investment products along with modern portfolio theory. Ultimately his focus is on equipping his clients for success and helping them identify and achieve their financial and life objectives. Todd grew up in the heart of the Finger Lakes and currently calls Canandaigua his hometown with his wife Beth, and children Brianna and Max.